Thousands of people log on to our site to get fresh content daily. We make it a priority to stay on top of all hockey news and get it out to you as soon as possible. We are deeply involved and committed to developing and promoting hockey. By giving our readers unique perspectives on stories that they will not find anywhere else, we have established a reputation in the hockey community as a credible and valuable news source. 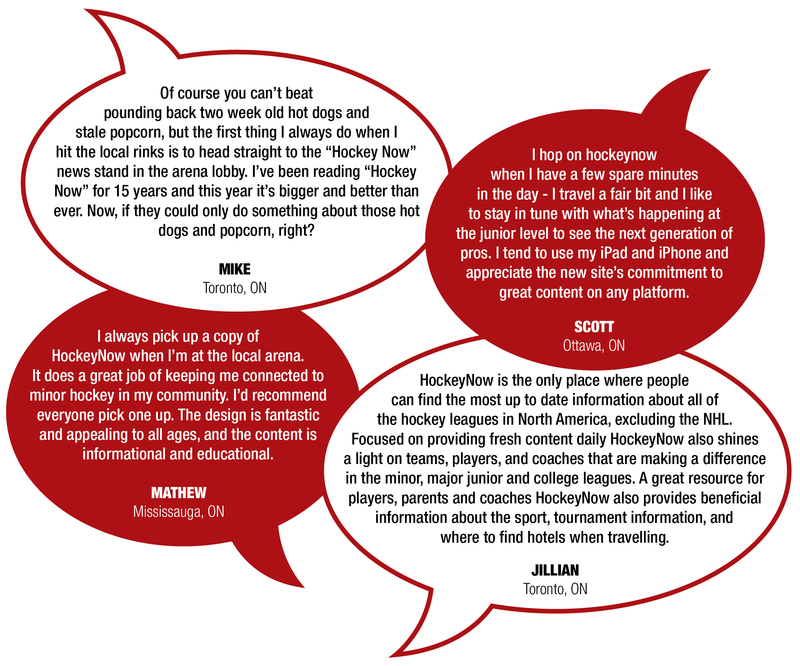 Our contributors are among the leading experts on hockey in Canada and we have their new stories on our site daily. Our love for all aspects of the game drives everything we do. If you know an exceptional player that we should feature, send us a photo and a short bio. Click here to create a profile and submit your ideas.